Is Jon Jones a dirty fighter? One legend say YES!!! UFC Light Heavyweight champ Jon Jones is the reigning king in his division and in the pound for pound rankings. His most recent win over Glover Teixeira was his record seventh title defense in a row. 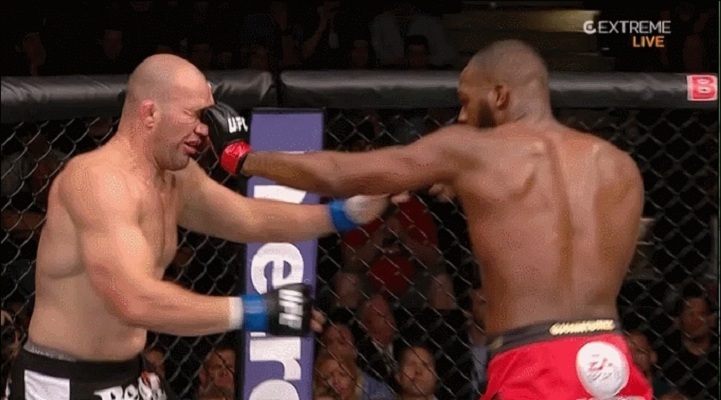 But following the win at UFC 172, many critics were talking as much about Jones’ penchant for eye pokes as they were about his dominance. One MMA legend, former UFC heavyweight champ Bas Rutten is one of them. According to Rutten, Jones’ repeated infractions are uncalled for. “El Guapo” calls Jones “dirty” and claims he knows exactly what he’s doing when the hands go into the face of his opponent. Whether or not the face touching is deliberate or not, it’s hard to say. But one thing is for sure…if you watch his fights closely, Jones certainly uses the hand-to-the-face method quite often. He uses it to gauge range, but the hand is almost always open and rubbing in the face of his opponent. So what does everyone think? Is Jones a dirty fighter?